Many people are aware of how bad fast food is for them – or at least, they kind of are. 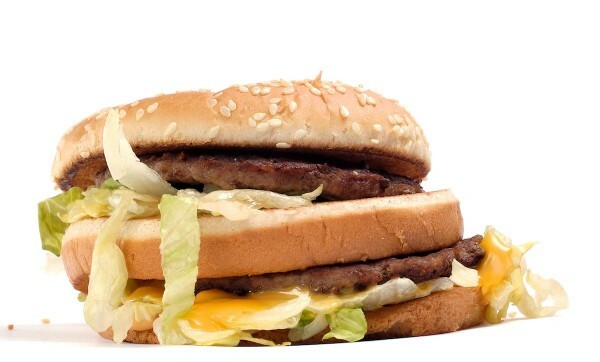 But the faults in fast food do not lie solely in the exorbitant calories, excess fat and copious use of salt and sugar. In fact, it turns out that these aspects may indeed be the more innocent parts of the dangers inherent in the fast food industry. Fast food is surely not nutritionally sound (far from it), but there are many other secret ingredients lurking in those meat-shaped patties, and most of them are hidden because people would not eat the food if they knew what was actually in it. MSG, or monosodium glutamate, is a perfect example of this. While there are many people who will concede that MSG is harmful to some people, they insist that it is not harmful to the majority. But, as Food Renegade discusses, it is a cumulative compound, which means it can build up in your body over time. Even if you aren’t sensitive to it now, if you consume it regularly, eventually you will be. MSG is associated with a lot of side effects, including headaches. In fact, research has shown that it can even cause brain damage and lead to neurological disorders. Another of the toxic ingredients hiding in your favorite fast food items is dimethylpolysiloxane, an anti-foaming agent with a variety of uses that are not at all food-related. For example, dimethylpolysiloxane is used in caulk, sealants and Silly Putty. It’s also featured in multiple items from McDonald’s, KFC and Wendy’s. Of course, this just the beginning. There are many other harmful additives in fast foods. Sodium benzoate, sodium aluminum phosphate and acrylamide are just a few of the things you can find in your favorite takeaway meals. Next time you think you want a cheeseburger, do yourself a favor and make it yourself.